The federal government is moving forward with a controversial plan to allow seismic exploration for oil and gas in the Atlantic ocean. 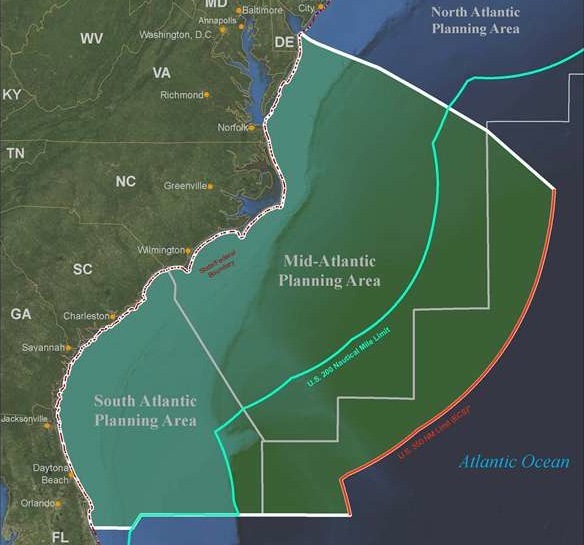 On February 27, the Bureau of Ocean Energy Management released the final environmental impact statement (EIS), recommending extensive seismic airgun testing off the South and Mid-Atlantic coasts. These surveys would cause major impacts to marine wildlife and the ecosystem, and set the stage for future oil and gas development. A final decision will be made by the agency after May 7th, following the last public comment opportunity. BOEM's announcement follows years of intense public debate, with an overwhelming majority of citizens having expressed opposition to the proposal. During 15 public forums and a 90-day comment period in 2012, tens of thousands of people urged the government to cancel plans for seismic testing in the Atlantic. The coalition of stakeholders opposing the proposal is large and diverse, with coastal residents, scientists, fishermen, conservationists, business owners, animal rights supporters, elected officials and others rejecting based on the anticipated impacts to the marine ecosystem and coastal communities. Nevertheless, the pressure applied by the American Petroleum Industry and related lobby groups appears to be trumping the input of the majority thus far. “Seismic airgun testing would cause catastrophic impacts to the marine ecosystem, including potential injury or death to hundreds of thousands of whales and dolphins. It would also set the stage for offshore drilling off the Atlantic coast, a dirty and dangerous practice that threatens the health of our oceans and coastal communities. On behalf of more than 250,000 Surfrider Foundation members and supporters, including over 25 local chapters from Maine to Florida who have vigorously opposed the proposal, we call upon the Obama Administration to cancel plans for seismic testing in the Atlantic ocean." With the final decision expected soon, the federal government needs to hear from people who are concerned about the health of the marine ecosystem and coastal communities. A 60-day final comment period to BOEM opens on March 7th and ends May 7th. Please take action here to tell the agency to cancel plans for seismic testing in the Atlantic Ocean. For more information please visit our campaign page.